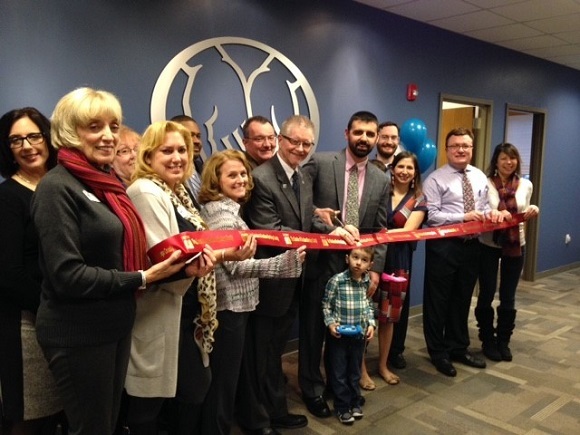 A ribbon cutting was held on February 7, 2017 to celebrate the new offices of Allstate Insurance-The Lofrumento Agency. Pictured center is John with his son Peter and his wife Kerry. Surrounded by his staff and colleagues of Allstate Insurance, Chris Rhodes representing Senator James Tedisco along with Chamber Ambassadors: Judy Brinkman, owner Life’s 2 Short; Donna Connor, owner of On the Go Concierge and Sandy Hassfurter from Berkshire Hathaway HomeServices Blake, REALTORS. You can find their new office at 5 Longkill Rd, Ballston Lake.